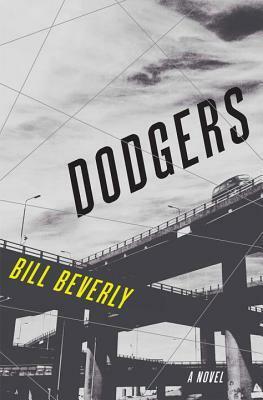 Dodgers by Bill Beverly, which I received from LibraryThing Early Reviewers. 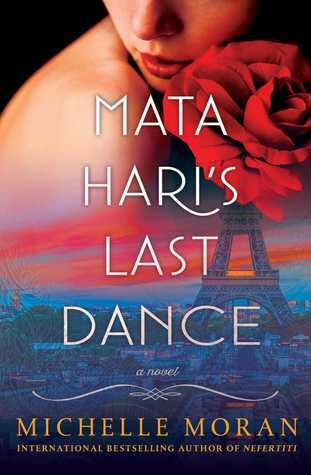 Mata Hari’s Last Dance by Michelle Moran, a surprise from Simon & Schuster. 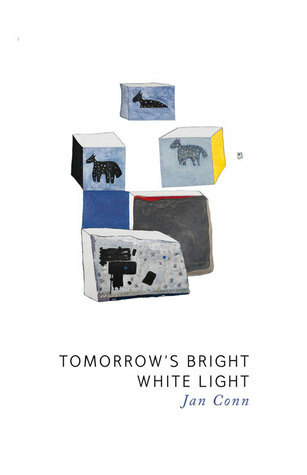 Tomorrow’s Bright White Light by Jan Conn, a surprise from Tightrope Books. Tourist by Lara Bozabalian, a surprise from Tightrope Books. 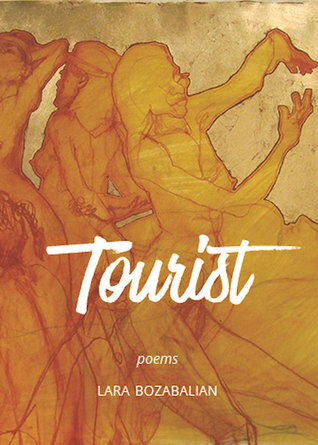 Opening with an aubade for the labyrinthian corners of Bombay’s largest slum, Tourist is a collection that is unafraid of shadows, and aims to unearth the unseen. Set across time and landscape—modern day Michigan, 1970’s Cambodia, WWI England, the kaleidoscopic mindscape of an Alzheimer patient – these poems draw us into lives that, initially, seem foreign, yet provoke our solidarity in the face of disorientation—a boy facing his first bankruptcy, an Elephant facing destruction at the hands of poachers. The book culminates in ‘Beethoven Walks’, an elegiac war cry from a man who wades in and out of darkness like a modern day Odysseus, and the churning resilience that sets him free. 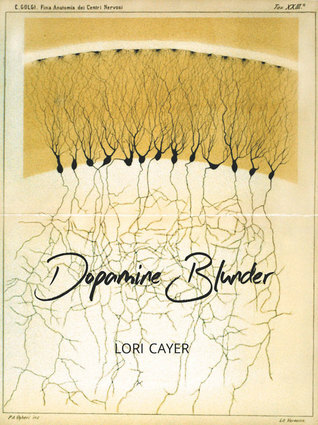 Dopamine Blunder by Lori Cayer, a surprise from Tightrope Books. In her astounding third collection, poet Lori Cayer takes on the juggernaut role of steward of human nature and subsequently explodes the myth of happiness through a multi-faceted lens of anthropology, socio-biology, sociology, psychology, archaeology, medicine and philosophy. Hinging on erasure and found material, Dopamine Blunder investigates these fundamental questions as our millennium enfolds with equal uncertainty and trepidation. 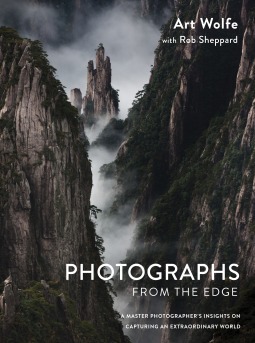 Photographs from the Edge: A Master Photographer’s Insights on Capturing an Extraordinary World by Art Wolfe, Rob Sheppard from NetGalley for review. Legendary photographer Art Wolfe presents an intimate behind-the-scenes guide to the experiences, decisions, and methods that have influenced forty years of stunning images captured around the world. Wolfe and co-author Rob Sheppard transport readers on a global journey, while carrying on a dialog about photography, tools and process, world travel, close calls, and photographic opportunities both taken and missed. From the rich sights and smells of the Pushkar Camel Fair to the exact moment when a polar bear and her cubs leave their arctic den, Photographs from the Edge represents the instances when circumstance, light, and subject miraculously collide to form an iconic image. Many of these photographs can never be duplicated as cultures and landscapes are transformed and wildlife diminishes or disappears all together. No matter his subject, Wolfe regales us with the stories behind the photographs and helps us experience life on the world’s most unique photo safari. Photographs from the Edge is a lifetime of experience distilled into a rich photographic education. 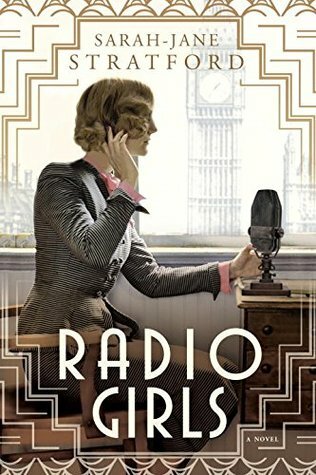 Radio Girls by Sarah-Jane Stratford for review from NetGalley. Straight James / Gay James by James Franco for review from NetGalley. 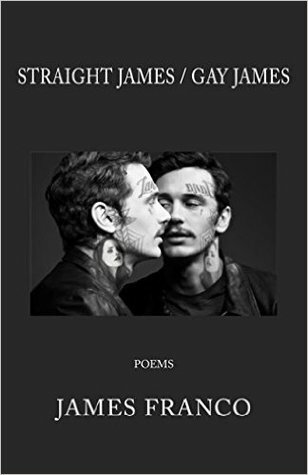 Actor James Franco’s chapbook of poems explores the different personas he uses in his writing, art, acting, and filmmaking. The poetry varies from the imagistic to the prosaic. Franco’s poems delve into issues of identity, sexuality, private and public life, being a brother, a son, an artist and actor. The chapbook also contains an interview of Gay James conducted by Straight James. Yes, Straight James asks the overwhelming question: Are you gay? 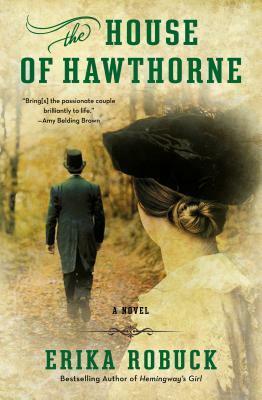 The House of Hawthorne by Erika Robuck is word portrait of Sophia Peabody and Nathaniel Hawthorne’s courtship, marriage, and family, as well as the tensions that arise from two artists balancing their passions with their family. Spoken in the voice of Sophia Peabody, readers are given a glimpse of her passionate painting and love of life despite her debilitating headaches before she meets Nathaniel, an aloof writer who feels the inadequacy of his words on paper. From the 1830s to the U.S. Civil War, readers are taken through their early romance and their marriage. While readers will find Sophia passionate about her work, she still finds joy and love in being a wife and mother, though she does miss her painting. Despite the vacillation between poverty and moderate wealth, the Hawthornes are a family unit that loves deeply and remain loyal to their friends. Like many artists there are period of abundance and times when the land is fallow, and this is true in terms of both writing and painting artistry as well as the funds they earn. Sophia is a headstrong woman, but she quickly learns how to navigate her husband’s moods and comfort him in the best way she can for a reserved man. Nathaniel is an enigma, but we get to see him through Sophia’s loving eyes, which can help soften some of his more anti-social behavior that others may see as mean or aloof. It is wonderful to see the circle of friends the Hawthorne’s have and how those relationships evolve over time, particularly in light of the coming Civil War between the North and South. From the drifting away from the Emersons to the effusive complements of Melville, the Hawthornes remain a tight knit family and rally around each other in times of loss and suffering. The House of Hawthorne by Erika Robuck is a stunning narrative that illuminates the often overshadowed life of Sophia Hawthorne and demonstrates how two artists can live together and build a life despite their differences and their own need for solitude and succor. The novel raises questions of self-identity, self-expression, compromise, and the desire to create and have it all. Historical fiction writer, book blogger, voracious reader. Erika’s first novel, RECEIVE ME FALLING was self-published. Penguin Random House published HEMINGWAY’S GIRL, CALL ME ZELDA, FALLEN BEAUTY, and a short story anthology to which Erika contributed, GRAND CENTRAL: ORIGINAL STORIES OF POSTWAR LOVE AND REUNION. 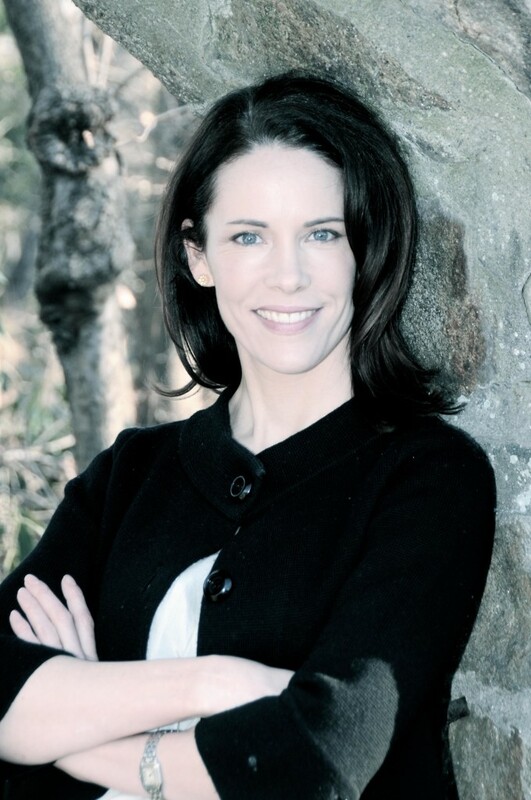 Her forthcoming novel THE HOUSE OF HAWTHORNE will release on May 5th, 2015. 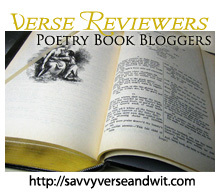 Erika writes about and reviews historical fiction at her blog, Muse, and is a contributor to fiction blog, Writer Unboxed. She is also a member of the Historical Novel Society, the Hemingway Society, the Millay Society. and the Hawthorne Society. The Sound of Glass by Karen White, published today, embarks on a journey that will leave readers slowly unraveling the interconnected lives of Mrs. Heyward in the late 1950s and the Mrs. Heyward in the new millennia. Edith Heyward is a woman who lives a closed life in her attic where she makes wind chimes out of sea glass, but she also lives a large life inside those tiny, humid walls. She tiptoes around not only her husband, but also her son and one of her grandsons, but even after they have left her home, she still closes herself off from the outside world. Meanwhile, Merritt Heyward, who married Edith’s grandson Cal, has taken the chance and given up her life in Maine to come to Beaufort, S.C., where a home she’s inherited as Cal’s widow lays out its secrets in a methodical way. While much of Edith’s pain is in secret, except to her immediate family, her sense of justice and right will push her to investigate the mysterious plane crash above her home in South Carolina. As she works on this case in secret, she’s simultaneously balancing the need for family calm and the desire for change within the family dynamic. What ultimately drives her family to separate will also bring it back together and resolve a nearly 50 year old mystery. Fast-forward to the present day, and Merritt find herself trying to curl up into a ball on her own, only to realize that Southern manners will not allow it. On top of her new well-meaning neighbors, she also must confront a brother-in-law she never knew about and adjust to life with her step-mother and younger brother Owen. As Merritt learns the traditions of Southern living, she also begins to realize that like drinking Coke with peanuts, you have to take the bitter with the sweet in life. While she may have found love with Cal, she also knew there were wounds that would never heal, and some that hovered below the skin’s surface that she was unaware of. The Sound of Glass by Karen White is a multi-layered story about family, their secrets, and the innocuous connections that can lead to lasting relationships and memories to be cherished. What breaks us can only make us stronger, and in some cases, some of us are unaware that we are broken and in need of fixing. Denial can be a powerful drug, as can self-protection, but family bonds and love are the only true healing power in this story and in our own lives. White is a successful writer of Southern, women’s fiction for a reason, and once readers buy one book, they’ll be addicted and buy the rest! After the Rain by Karen White is a republished and remastered novel that is full of twists and turns, touches lightly on the desolation of a broken family life and the darkness people can fall into as a result, and the hope that just might be around the corner. Suzanne Paris is on a bus to Atlanta when she decides on a whim to get off in Walton, Ga., where she meets a large family and finds the home she’s been looking for all of her life. But with the sun comes rain. And there is a deluge of it in this book. Suzanne has a past that is not far behind her, even as her freelance photography job takes her to many places. She’s running from a life and for her life, and White has created a character who is both likeable and unlikeable. She keeps secrets even from those know care for her, and her ability to trust others is very tenuous and easily broken by the wrong word or action, which White captures easily in her imagery. 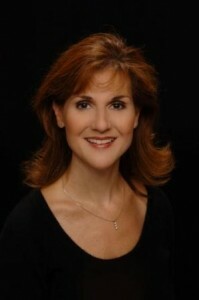 From how she’s described by the muscular, hot mayor Joe Warner — who also teaches at the high school and coaches football — to how Suzanne pauses before answering questions about her past, readers will find a character who is taken in slowly by the small town and its residents but frightened of how her own past could harm them. While things can be fleeting in life, there are things that are ever-lasting, and in this case, White talks about the support systems that we can have within our own families. Whether those families are the ones we are born into or the ones we fall into or create out of friends and husbands and our own children, they are there to love and support us unconditionally. Suzanne has a lot of lessons to learn, but the slow unraveling of her fears and her heart is endearing. In many ways, though she’s an adult, she’s like a child being led into the life she’s always wanted. Photography plays a large role in the novel, and Suzanne not only takes photos of the people in Walton but also finds that she’s become a part of the town’s tapestry as she weaves parts of herself into the photos she takes. Even more poignant, she connects with teenage Maddie when she shares with her the techniques a budding photographer needs to learn that are not necessarily taught in art classes. After the Rain also offers readers that down-home southern feel that all of White’s novels have — from the caring strangers to the idioms that make the place its own. 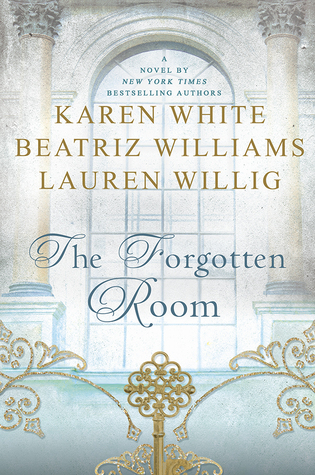 There are moments when readers will want to strangle Suzanne for her decisions, and some events are easy to see coming, but the way White writes these characters and their story endears them to readers and ensures their love and struggles will never be forgotten.